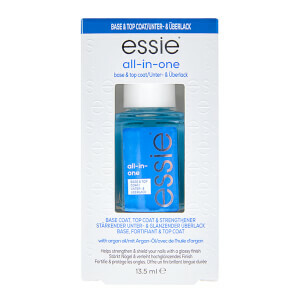 Treat weak, brittle nails to the Strong Start Nail Polish Base Coat from essie. 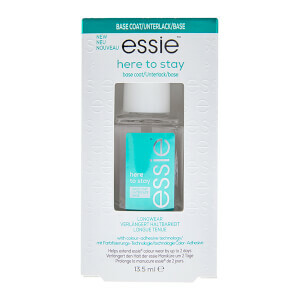 Fortified with a host of beneficial ingredients, including Biotin and Vitamin E, the strengthening formula works to fortify and reinforce nails, leaving them harder and healthier after use. 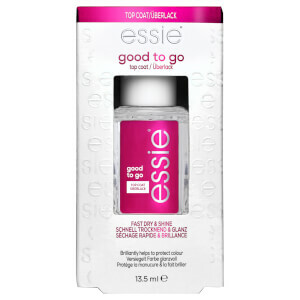 Promotes a long-lasting manicure by helping to minimise peeling, chipping and breakage. Can be used with or without nail colour. Apply one coat as a base. 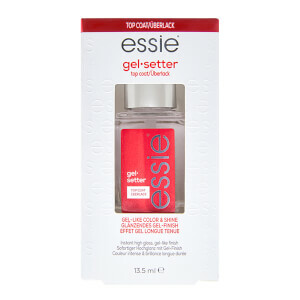 Follow with two coats of any essie nail colour and one coat of your favourite essie top coat. For use with or without nail colour. Butyl Acetate, Ethyl Acetate, Nitrocellulose, Acetyl Tributyl Citrate, Adipic Acid/Neopentyl Glycol/Trimellitic, Anhydride Copolymer, Isopropyl Alcohol, Acrylates Copolymer, Stearalkonium Bentonite, Silica (Nano)/Silica, Benzophenone-1, N-Butyl Alcohol, Diacetone Alcohol, Trimethylpentanediyl Dibenzoate, Ci 77891/Titanium Dioxide, Hexanal, Ethylhexyl Salicylate, Ethylhexyl Methoxycinnamate, Rosa Rubiginosa Seed Oil, Alcohol Denate , Phosphoric Acid, Argania Spinosa Oil/Argania Spinosa Kernel Oil, Tocopheryl Acetate, Dimethyl Oxobenzo Dioxasilane, Propylene Glycol, Polyvinyl Butyral, Ci 77491/Iron Oxides, Dimethyl Sulfone, Calcium Pantothenate, Ginkgo Biloba Extract/Ginkgo Biloba Leaf Extract, Ci 19140/Yellow 5 Lake, Durvillea Antartica Extract, Aronia Melanocarpa Fruit Extract, Vaccinium Oxycoccos Fruit Extract.